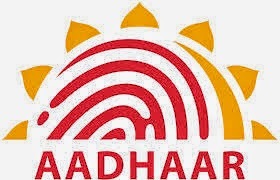 Aadhaar is a12 digit individual identification number issued by the Unique Identification Authority of India on behalf of the Government of India.This number will serve as proof of identify and address anywhere in India. aahaar letter received via India Post and e-Aadhaar download from Uidai Website are equally valid. Any individual irrespective of age and gender, who is resident in India and satisfies the verification process laid down by the UIDAI can enrol Aadhaar. Each Aadhaar number will be unique to an individual and will remain valid of life Aadhaar number will help you provide access to services like banking , mobile phone connection and other Govt and Non-Govt services in due Course. If you have lost/ misplaced you Aadhaar card or if you have not yet received you Aadhaar card, but have already received the SMS confirmation that your Aadhaar card is processed successfully ,you can download duplicate Aadhaar card copy online. the duplicate Aadhaar card has same validity proof wherever Aadhaar card is accepted. If you know your Aadharr number and /or have acknowdgement slip that was give to you at the time of registration ,follow the instructions below to download Aadhaarcar dduplicate copy online. 1 STEP : Visit UIDAI official Web site www. uidai.gov.in or Click Here For Download Aadhaar Card, in there you will see the option of " Download".Click on Download Option. 2 STEP : Now click on the Resident Portal , it will redirects you anew page. 3 STEP : Just Click on Get E-Adhaar, it will redirects you a new page. 4 STEP : In that new page it asks you aahaar card enrolment number,your name, father name ,Date of birth, mobile number, enrolment time , date . year,pin code and more. Enter all those information correctly without single world mistake, Recheck the given details why because if you enter wrongly it says " no aadhaar details found with the given enrolment number" so be careful on giving information. Note that mentioned Mobile number must have in your mobile phone and the mobile need to have in your hand.Now just click Get on One time password option. 5 STEP: Than few seconds you will get an one time password -OTP to your mobile. Now you will see the screen ask you to enter one time password. so just enter it in the box. Please make sure the OTP valid for 1minute only,you need enter it on or before 1minute once you 1 minute is finished you have to more chances to request a new OTP, after 3 times just no chances . 6 STEP : Now you will see option of download-just click on it Download your Aadhaar card in PDF format. 7 STEP : Now give source in your system to store where you want. That's it you have successfully finished aadhaar card download.